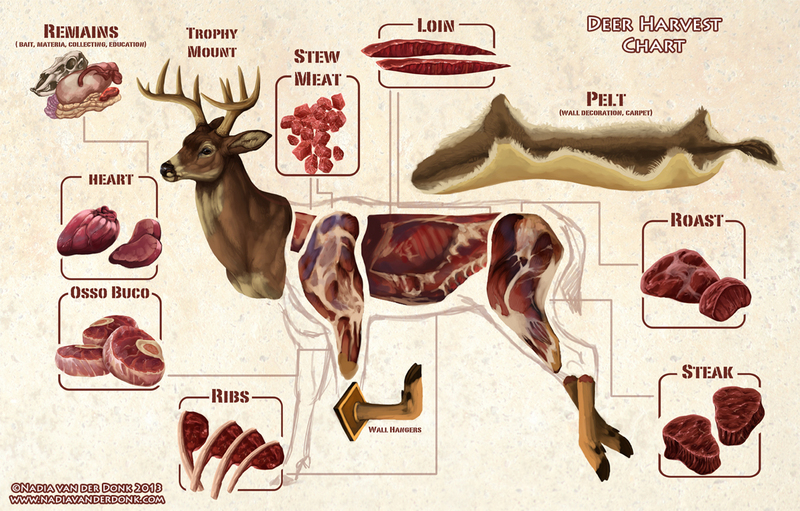 This diagram is the basic overview of the quarters and can be applied to deer, moose, elk and caribou. This second diagram is a more in depth cut selection and is coded for the sections as well. Again, this can be applied to deer, moose, elk and caribou. 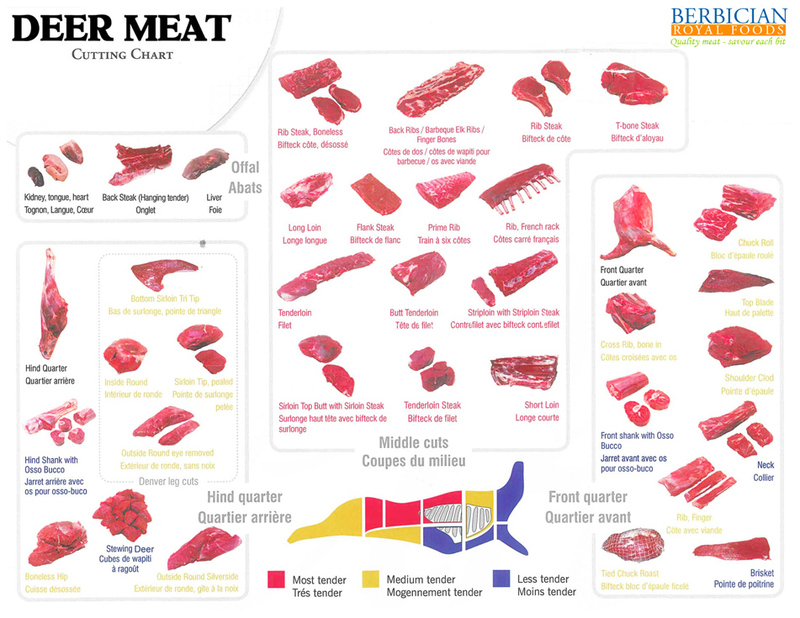 Ensure before you properly care for your game in all stages of meat preparation to give not only longevity to the meat, but reduce the risk of cross contamination of any bacteria that could not only spoil the meat but could also make you very sick.